Get to know Las Vegas’ revitalized Downtown district, bustling with spirit and vibrancy. This lively, informative outing is 2.5 hours of Lip Smacking eating and exploring in newly revitalized Downtown, with visits to the most magnetic, chef-driven restaurants that are all about farm-to-table, seasonally-focused, artisan-crafted fare. 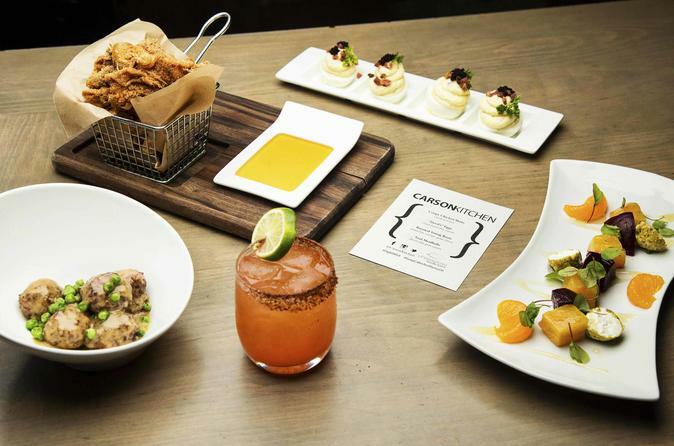 Designed for those who want to experience a Vegas dining scene that has reinvented itself with an electrifying, modern flourish.